2. How to remove the preloaded quotes? Preloaded entries are provided for demonstration purpose and supposed to be removed once user becomes familiar with application. 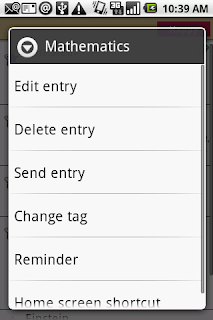 In order to delete the preloaded entries, please try "Long-press (press for 2-3 seconds)" on any entry item. Then you will see Content menu pop-up with "delete" option.